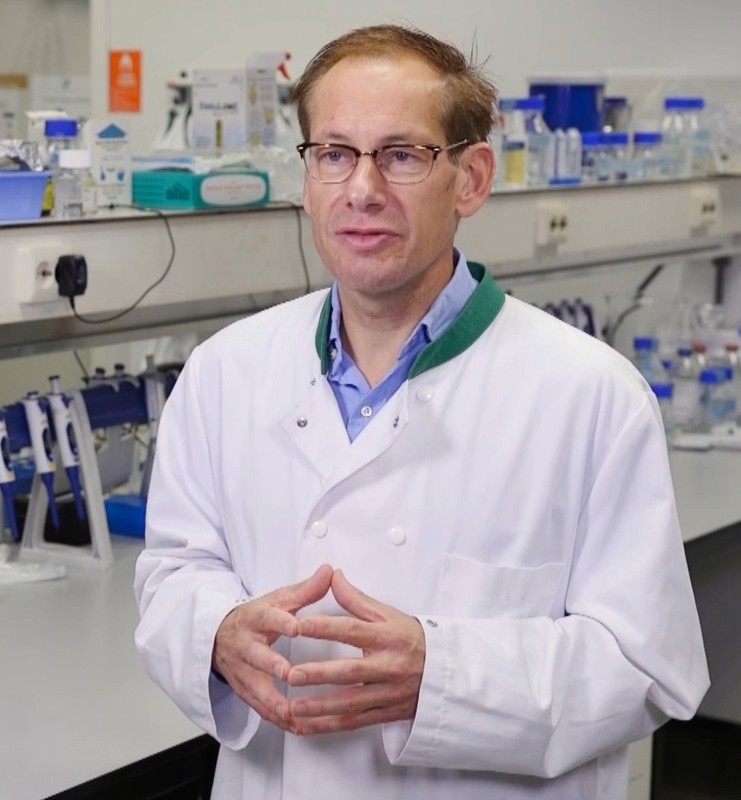 Prof Frank Staal is the head of the Molecular Stem Cells Biology laboratory at the Leiden University Medical Center and the leader of the Recomb project, funded through the European Union’s Horizon 2020 research and innovation programme, of which IPOPI is also part of. Prof Staal has a research interest in hematopoietic stem cells, their development into T cells and genetic defects that are associated with the loss of immune function. As a scientist, he is very keen on putting his and his team’s research at the service of problems observed at the clinic. Question: As head of the Molecular Stem Cells Biology laboratory at the Leiden University Medical Center what main research projects are you working on? Answer: Essentially all our research centres around the development of lymphocytes, a type of white blood cells, from stem cells. We try to find answers to specific questions such as: how do you get from a stem cell to a fully functional working T cell or B cell?, why does the daughter cells go into one direction and not another, for example, instead of to lymphocytes towards monocytes or red cells?, and so on. Besides basic aspects of how a cell orchestrates gene activity and communicates with other cells in both mice and humans, this knowledge is applied to diagnosis and gene therapy of primary human immunodeficiencies. Our research will lead to novel diagnostic and therapeutic tools and bring gene therapy to a number of immune disorders and into the reality of the clinics. Q: What is Recomb about and what does it hope to achieve? A: RECOMB is an EU sponsored H2020 project that involves 11 counties with the aim to deliver gene therapy for one particular type of SCID disease. The ultimate aim of RECOMB is to create a novel treatment for one of the most common types of SCID, RAG1-SCID, by performing phase 1 and phase 2 clinical trials using autologous haematopoietic stem cell‒based gene therapy. SCID comprises a group of rare diseases in which cells in the adaptive immune system fail to develop properly. The specific SCID phenotype depends on the underlying genetic defect, and more than 20 SCID-associated genes have been identified to date. SCID affects ~1:35,000 infants, with approximately 145 affected babies born each year in the EU. These infants are born without a functional immune system, thus typically experience a wide range of serious eventually even life-threatening infections, including pneumonia, meningitis, and sepsis, and die within the first year of life unless effective treatment is given. The ultimate aim of RECOMB is to create a novel treatment for one of the most common types of SCID, RAG1-SCID, by performing phase 1 and phase 2 clinical trials using autologous haematopoietic stem cell‒based gene therapy. Q: In a prior interview you provided a very interesting comparison using car parts. Can you summarize for our audience why you believe gene therapy is a safer alternative to stem cell transplantation? A: If I recall the car part comparison was about two different types of gene therapy, namely gene addition vs. gene correction. But let’s first discus the current treatment for SCID, which mostly involves stem cell transplantation (what we used to call bone marrow transplantation) from another healthy donor, technically called an allogeneic transplantation. Currently there is an unmet medical need for RAG-SCID. The only available treatment is the allogeneic stem cell transplantation (HSCT) which has low survival in mismatched HSCT recipients and the possibility to develop graft vs host disease. This is because the donor and recipient need to have an HLA type match, the white blood cell blood group. With gene therapy, the patient’s own stem cells are used, and a correct copy of a mutated gene is put into the patient. For instance, the gene RAG1 is introduced in the patient’s stem cells which are then transplanted back in the patient and develop into healthy immune system to protect him or her. Regarding the gene therapy techniques, what we are doing now is adding a correct copy of the mutated gene somewhere in the genome of the patient, but we are not repairing the gene. That can be done with genome editing tools such as CRISPR/Cas9. My comparison with car parts was that if you have a broken headlight on your car, what we are currently doing is putting an extra headlight on the roof. Yes, it works, you have light, but you’d prefer to repair the damaged light. That is what gene repair would do. So, there is still room for improvement and we and other investigators are working hard on this topic. I worked on HIV/AIDS, very basic aspects, but also with patients. It really shaped my attitude towards doing science in the best possible way but always with the idea to apply it to clinical problems. Q: In your opinion, how important is patient awareness and patient involvement in clinical studies? A: It is essential. Patients involvement is required for clinical trials, certainly in the area of rare diseases. I think clinical investigators should be required to involve patients in the design of their studies. Q: What was the trigger that made you interested in human genetics and immunology? 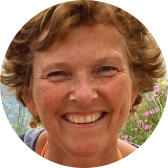 A: I was an undergraduate student from Utrecht University (The Netherlands) doing a rotation project for my master’s in Biomedicine in the laboratory of Leonard and Lenore Herzenberg at Stanford University, California. They then asked me to join their lab for my PhD studies, which I did. Their lab was in the Genetics Department of Stanford Med School, but also heavily involved in immunology, both basic and in what we now call translational. I worked on HIV/AIDS, very basic aspects, but also with patients. It really shaped my attitude towards doing science in the best possible way but always with the idea to apply it to clinical problems. Q: With such a busy work life what do you do to unwind? A: I am an “exercise junky” and like to do a lot of sports. I used to be a fanatic runner, but due to injuries I run a bit less these days and have also picked up biking. I also like to cook and spend time with friends and family, preferentially over a nice dinner.